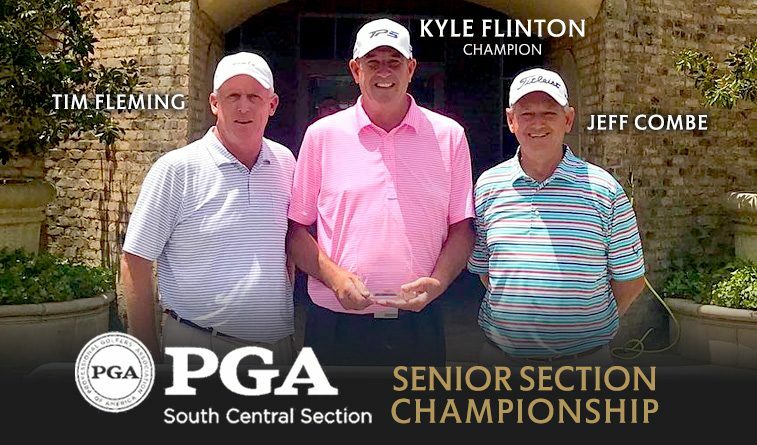 Kyle Flinton of Quail Creek CC in Oklahoma City shot rounds of 69-66 for a 9-under total of 135 at Hot Springs Country Club to lead three South Central Section professionals in qualifying for the 2018 Senior Professional Championship. Also qualifying for the national event were Jeff Combe of Tulsa Country Club, who shot 4-under (67-73) and Tim Fleming of Oklahoma City Golf & Country Club, was came in at even-par 144. The 2018 Senior PGA Professional Championship will be held Oct. 25-28 at PGA Golf Club in Port St. Lucie, Fla. Results of the qualifier are below, as well as results of the Yamaha Senior Section Club Professional Championship which includes results of those not trying to qualify for the national event.